As summer comes to an end, so does this contest... and now it is time to announce the results! 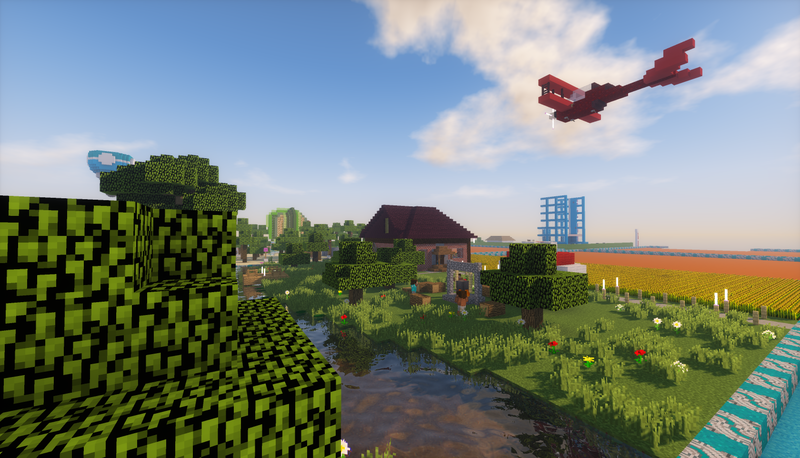 Coming in 1st Place we have Cereni, with a farmland submission! It was a different view on what summer is, and the plane really caught the staff's attention too... nice touch! 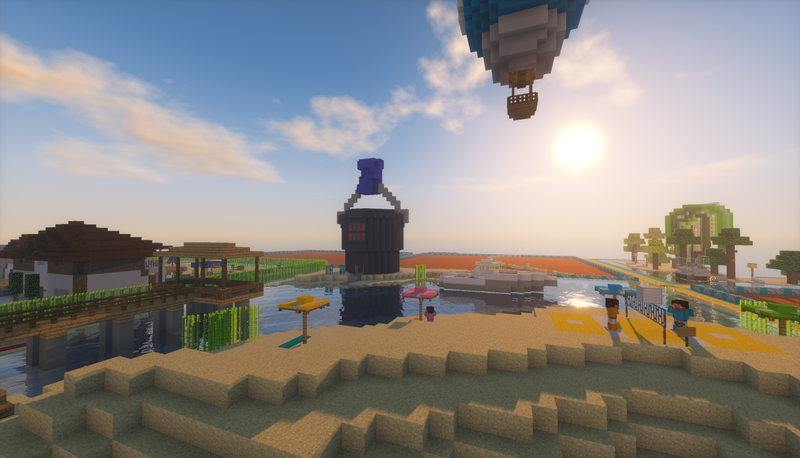 Next we have Tristanofalls claiming 2nd Place with his bug filled sky! There were many beautiful lightning bugs, a stunning moth and a dragonfly at the top! This was definitely the most 'out there' submission we got and it was an amazing one nonetheless. The cool water underneath had many of the new blocks and a nice design... the little details count! Defending their title for 3rd Place is Backslasherton! 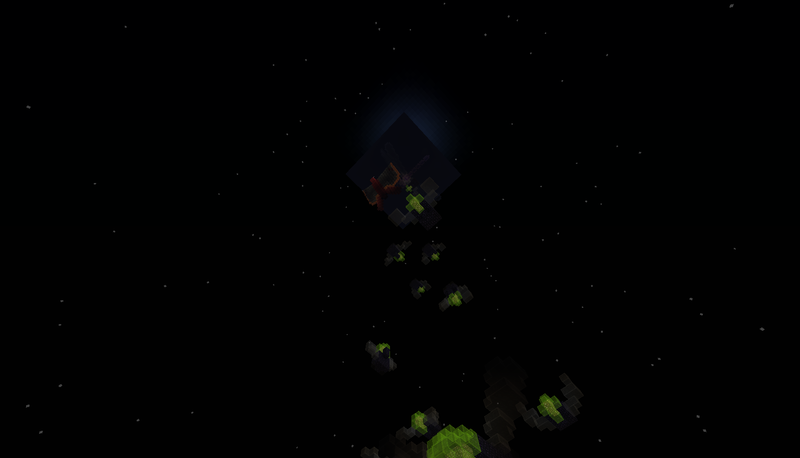 This submission not only used a ton of the new blocks, but it was very full and alive! The different shops were detailed and a fantastic idea! Summer is most certainly a great time to shop! There were 2 runner-ups for this contest... Idlenoise and cupcake1718! 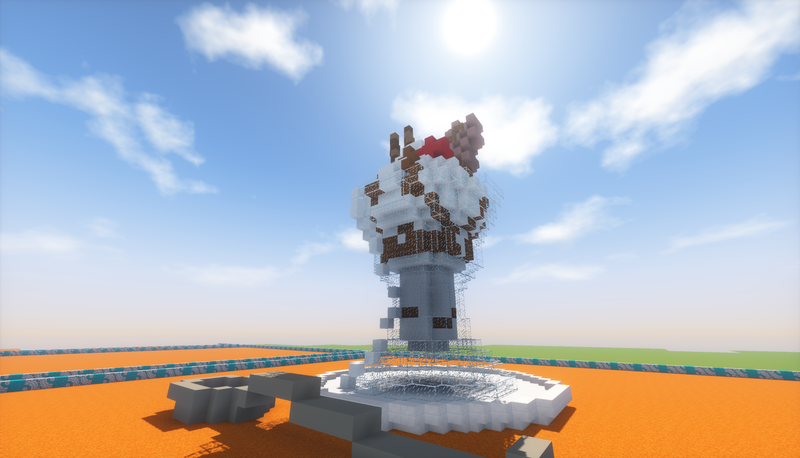 Idlenoise made a tasty sundae! Who doesn't love one of those on a hot summer day! The sundae had lots of depth and made me want one myself! While cupcake was one of the first to make the beach scene when this contest opened. The chum bucket was a pretty funny addition... who doesn't love Spongebob?? I'd like to thank everyone who added to this contest, it was great to see the different styles and ideas everyone had! I hope everyone can participate in the next contest as well! 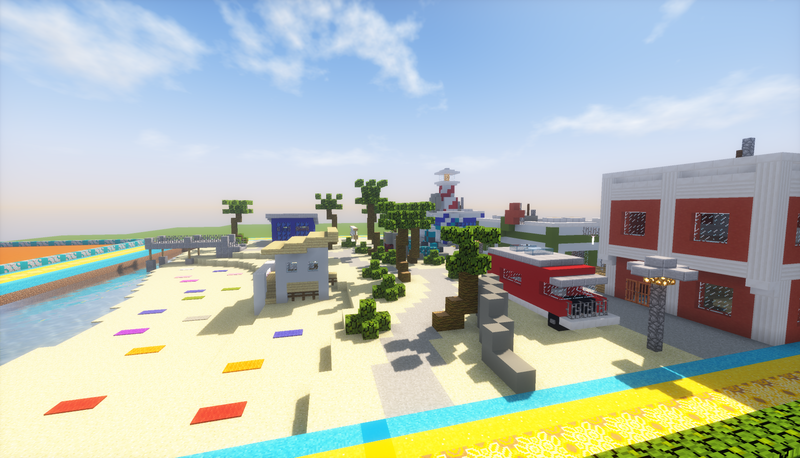 With much sadness, but keeping all our fond memories, we must announce that Pixelmon is ending its development. We have had a great time making this mod and creating such a wonderful community but after a request from the Pokémon company we will be shutting our doors. I'm sorry for the disappointment this will cause but let's remember all the great times we had playing Pixelmon, discussing Pokémon, making awesome things inside this mod and everything else that we've done. All good things come to an end eventually and now is our time. However there are always more things to do, to be a part of and to enjoy. Keep going out there to find fun projects to be a part of and other great things to invest your time and enthusiasm into.